At Google I/O 2018, Google announced Digital Wellbeing. 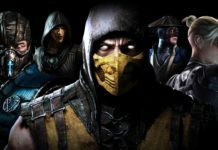 It’s a new approach to find a better balance between our digital and real worlds. 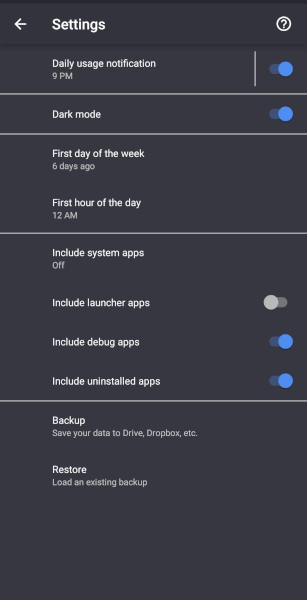 Unfortunately, Digital Wellbeing feature is only available for Pixel Devices and some Android one devices running on Android 9.0 Pie. However, the developer of Action Launcher has developed an app that works on any Android phone called ActionDash. 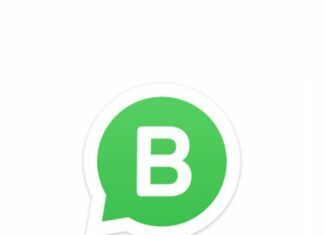 This app is almost similar to Google’s Digital Wellbeing. Know more about Digital Wellbeing App for any Android smartphone in this article. The dashboard of this app is very clear and almost similar to Google’s Digital Wellbeing feature. 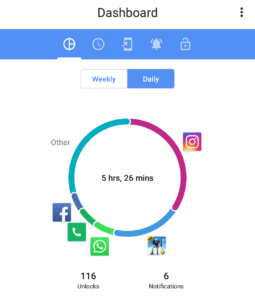 It shows which apps or games you have used throughout the day in the form of a pie chart. You can see it on a weekly basis too. 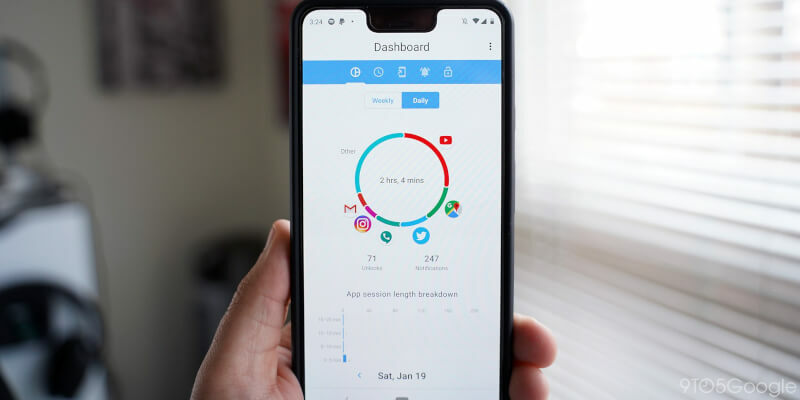 Swipe right from the dashboard to view your screen time. Basically, this app shows you how much time did you use any particular app. 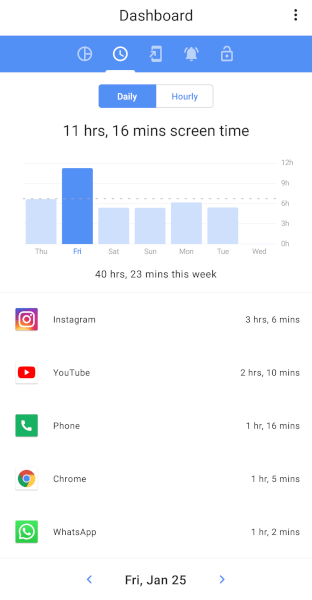 It also shows the total hours of smartphone usage. By clicking on any app you will get detailed information about your usage. The third tab shows how many time did you launch any app. 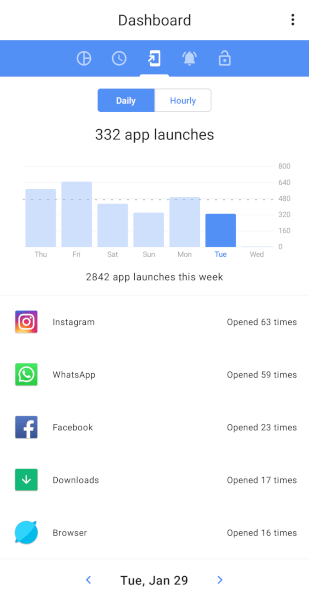 It also shows the total number of apps launched throughout the week. 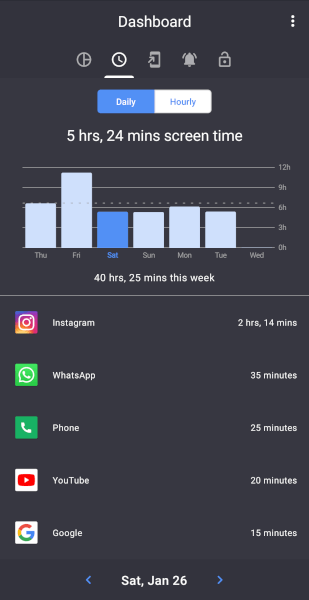 So you will get a better idea about which app do you open more time and for how much time. Actiondash also counts how many times did you unlock your smartphone. 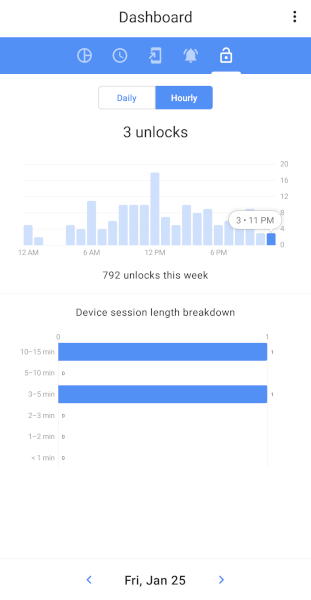 You can see your unlock count of a day or of a week. Also, it shows how long did you use your phone after unlocking. 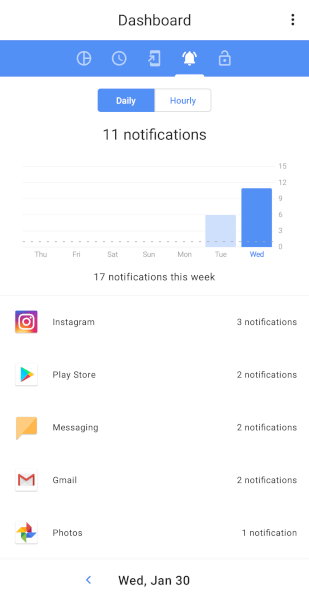 Do you know how many notifications pop up on screen in 24 hours? 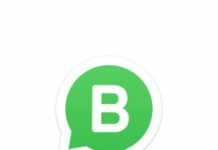 Well, it is now easy to count the number of notification you receive from different apps. 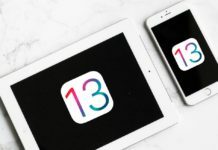 You can unlock the app’s premium features such as the ability to backup and restore data, enable a dark mode, view more than seven days of data, and much more with an in-app purchase, which cost 100 rupees only. Actiondash is a must have the app to observe your habit of using the smartphone. It is the best alternative to Digital Wellbeing. Previous articleBook Rail Tickets with Your JioPhone Now!!! Vedant is a science student who fall in love with Arts. Being a blogger he writes on different topics but technology is his favourite category. He is a content creator and always ready to try his hand on new gadgets.